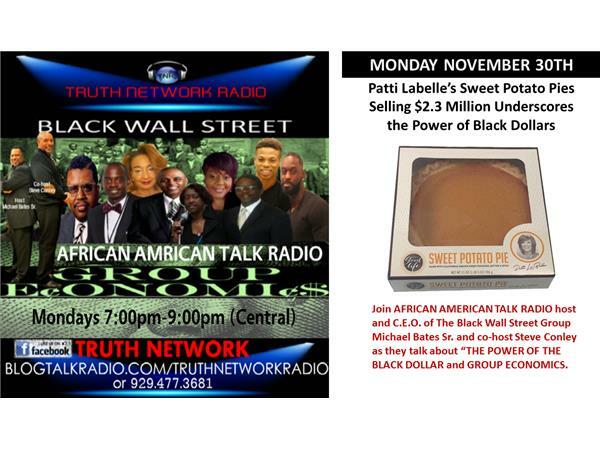 Join AFRICAN AMERICAN TALK RADIO host and C.E.O. 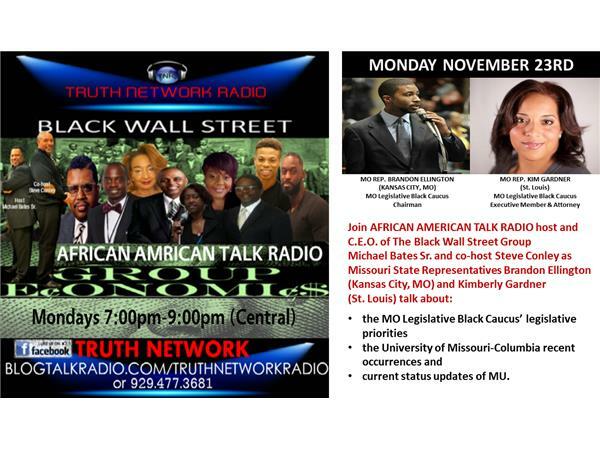 of The Black Wall Street Group Michael Bates Sr. and co-host Steve Conley as Missouri State Representatives Brandon Ellington (Kansas City, MO) and Kimberly Gardner (St. Louis) talk about:the MO Legislative Black Caucus’ legislative priorities the University of Missouri-Columbia recent occurrences and current status updates of MU. 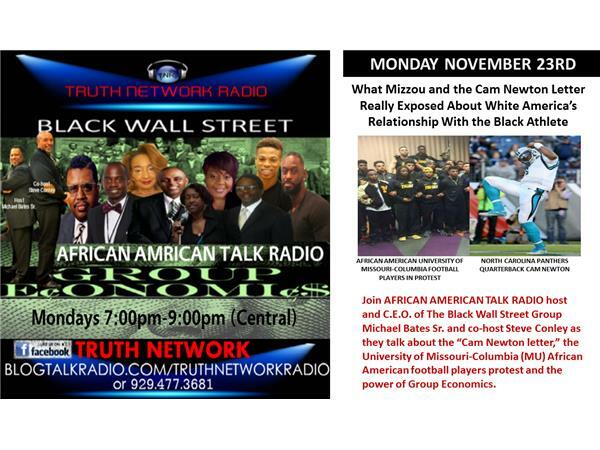 Other topics will include the “Cam Newton letter,” the University of Missouri-Columbia (MU) African American football players protest and the buying power of the Black dollar in regard to the Patti LaBelle sweet potato pies. 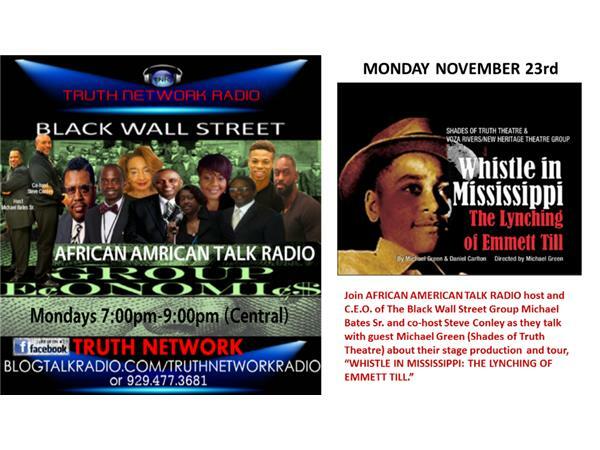 TUNE IN BY LOGGING ONTO BLOGTALKRADIO.COM/TRUTHNETWORKRADIO or call 929.477.3681!